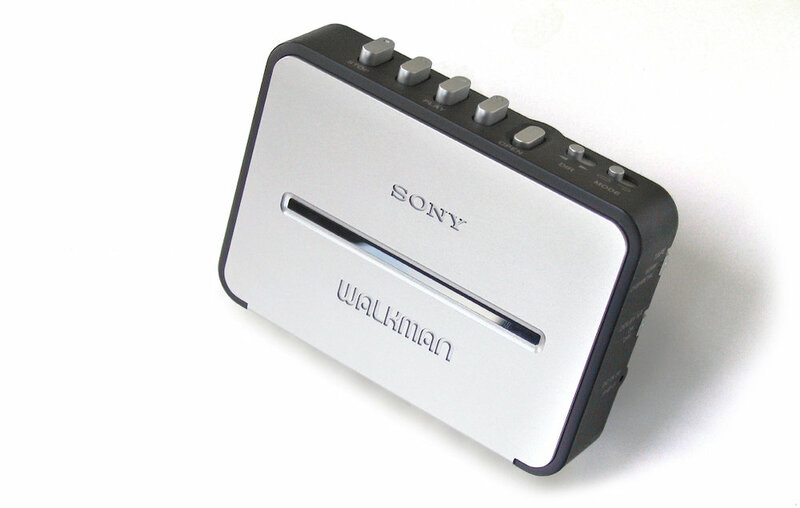 This mid-to high-level Walkman was designed while I was employed by Sony at their European Design Centre. Its primary target was markets in Northern Europe. The underlying idea was to combine some of the metal-based manufacturing techniques found in Sony’s more expensive models with a mid-range mechanism to create a kind of ‘bridge’ product between these two price points. Multiple approaches were initially investigated, using extrusions which to my eye still look stronger but were technically too challenging in implementation. In the end, the final product was produced using aluminium pressings for the entire outer body. I had pushed for designing the cassette door without a window (who ever looked at the tape going round? ), but there was a very firm policy rule on this, so the window was included. To add product differentiation I developed a new type of catch mechanism that provided a secure latching system for the door. The product went on to become a top seller and it unexpectedly became a popular grey import within Japan. Although in Europe Sony found that only the silver model sold well, in Japan there was strong demand for a wider range of colours so it was subsequently sold there in a range of anodised finishes.